Talk to a few before signing a listing. Contact agents you believe are active in your area. Good if they work full-time – this is serious to you, not a hobby. You want a professional helping you, one who knows the rules and follows them, one who will respect every player in the house sale world – including you. Ask if the agent’s brokerage firm puts its listings in the Multiple Listing Service – the MLS greatly expands the agents working for your sale. Ask them for a guess as to the real market value of your home. Ask what they suggest you do to make buyers want your home – painting, staging furnishings, landscape work, obvious repairs. Ask how they plan to actively market your house, not just wait for other agents to co-broke. Commission rates have been between 5 and 6 % depending on the perceived difficulty of finding a good buyer. I wouldn’t be afraid of the 6% commission if I was sure the realtor was going to work for it. You could well make up that 1% difference in a higher sale price and a quicker closing. Also ask how they will share the commission if there is a co-broke deal – 50% of the commission to the co-broker, or something less. Something less could reduce enthusiasm for your house among potential co-broke agents. How long should you list with an agent? You should give the broker you chose a good listing period of at least 3 months. 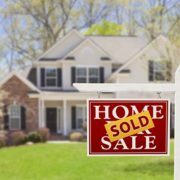 An agent may need enough time to truly test the market and bring you a good offer. I wouldn’t go to 6 months; the agent may sit on his/her hands just waiting for a co-broke deal. If you are unhappy with the agent you chose, at least you are not stuck with the agent for too many dead months. When your listing with the first agent expires, you can relist with a more energetic agent. Finally, pick an agent with whom you are comfortable. You need to work together to make the best sale. https://www.malcolmbarlow.com/wp-content/uploads/2018/06/realestate-sold.jpg 400 600 malcolmbarlow https://www.malcolmbarlow.com/wp-content/uploads/2017/10/logo-1-300x96.png malcolmbarlow2018-06-25 12:07:232018-06-25 12:08:58How do I chose a real estate agent? What issues should I consider?